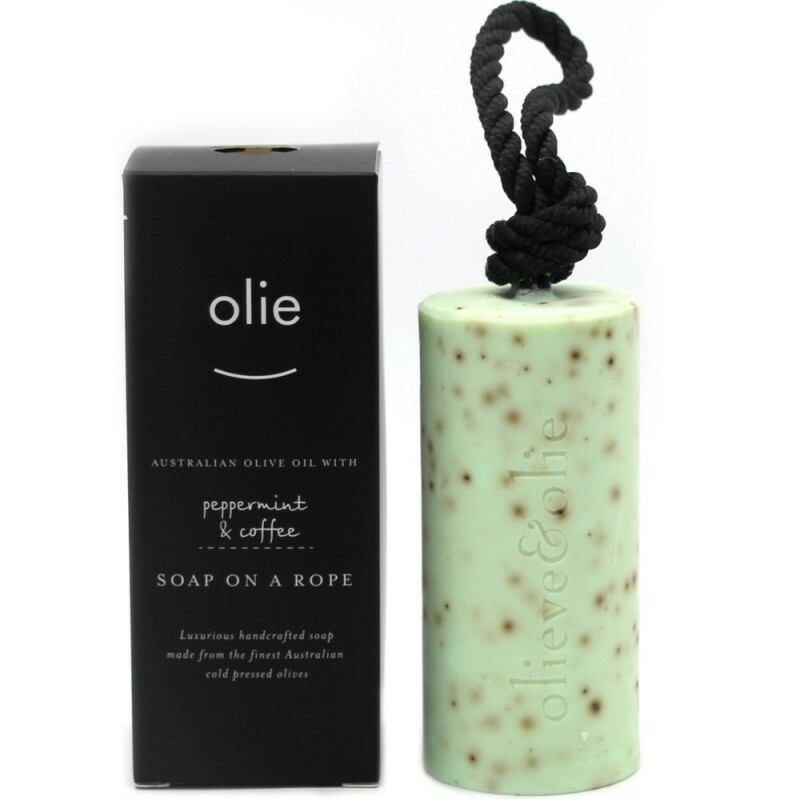 A creamy and gentle soap on a rope. Made using Australian grown olive oil, combined with peppermint and coffee. Completely natural and ideal for all skin types. 250g. Mixed and poured by hand, then aged for three months. Soap provides a gentle lather, and moisturises the skin. Revitalising peppermint and coffee scent. Soap is attached to a rope, perfect for hanging and keeping dry in your bathroom. Olive oil soap, coconut oil soap, sodium lactate, beeswax, chromium oxide greens, peppermint oil, coffee arabica .